We offer spelling agistment, breaking-in, pre-training, training and rehabilitation. Generally we need 4 weeks to complete the early education, daily rate is $69/day. Your horse will tie up, be a safe ride, have a soft mouth and will have all the basic "buttons". Race horses will have been through the barriers and we can take them to Ascot race track for a week (at the end of the first 4 weeks) and give them their first week of track education. Paddocks vary from 5 - 30 acres, unlimited hay plus 2 hard feeds and supplements daily - $28.50/day. 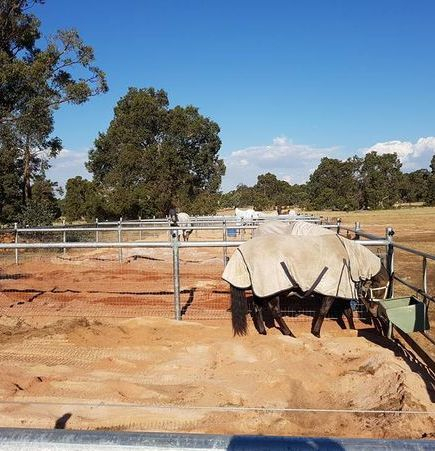 25 acre paddock with unlimited hay plus 2 hard feeds per day - $25.00/day. 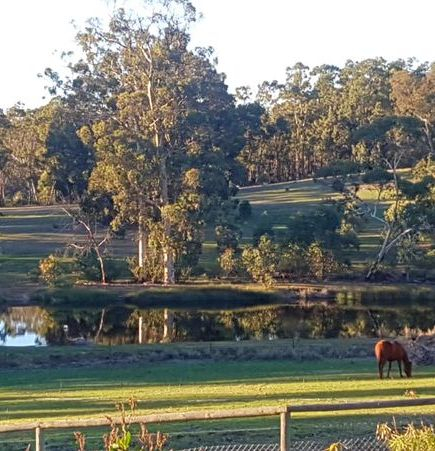 We have purpose built foaling yards and 24 hour care. 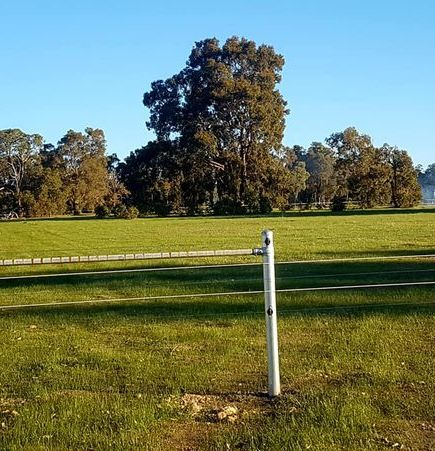 Herd paddock with pasture and oaten or meadow hay $55/week. We are very experienced in most rehabilitation and price will depend on what is required. We have stables, small day yards, and larger yards to help with all rehabilitation. 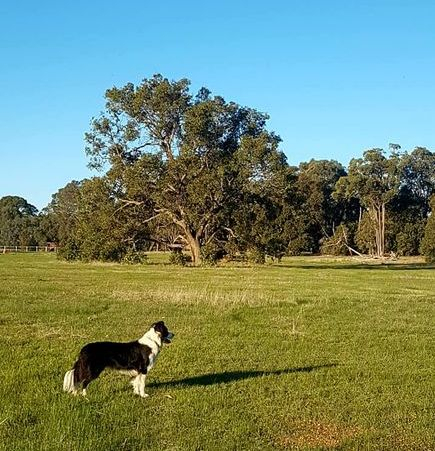 All our paddocks are well pastured, have wonderful natural shade and shelter, great clean/fresh water supply and are undulating. We supply cotton sheets and flyveils in summer, and either canvas or doona rugs in winter. Our farrier visits weekly, Ascot Vets visit whenever needed and our dentist is available when required. Payment is fortnightly in advance for spelling agistment, breaking-in accounts are payable in full before the horse leaves the property. All other accounts are issued at the end of the month and are payable within 7 days. We do not accept stallions, wind-suckers or fence walkers. Gino and Bethany live on the property so all horses have 24 hour care, 7 days a week. WHILST WOODLEIGH ESTATE AND ITS EMPLOYEES DOES ITS BEST, WE ARE NOT RESPONSIBLE FOR LOSS OR INJURY.